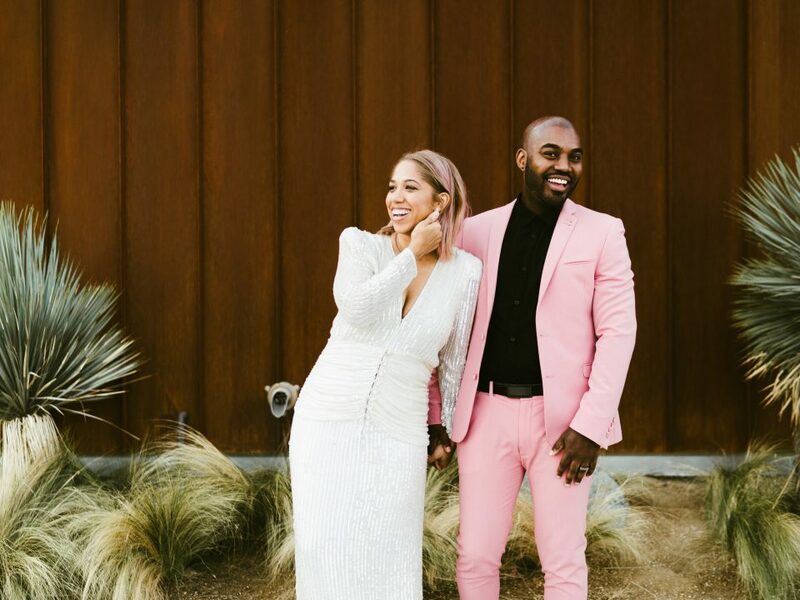 Tips From The Wedding ProsWedding tips from wedding photography professionals and industry insiders. 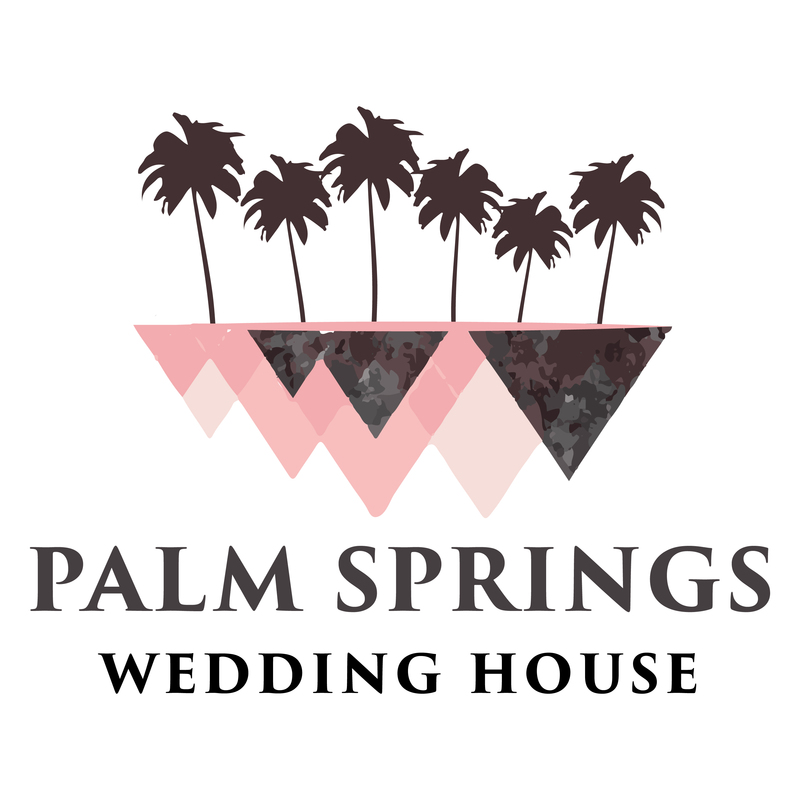 If there is one thing we know for certain it is that planning a wedding in Palm Springs can at times feel stressful, but getting married in Palm Springs is an absolute blast! However, once the table decor has been put away and the wedding dress is tucked in the corner of a closet, that does not mean the journey is over. Absolutely not! 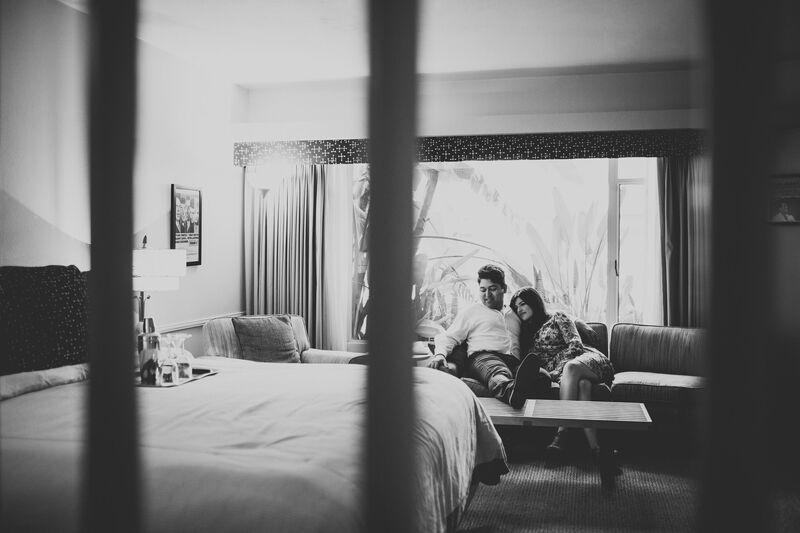 We adore when couples continue documenting their adventures together, especially when it comes to anniversary sessions! 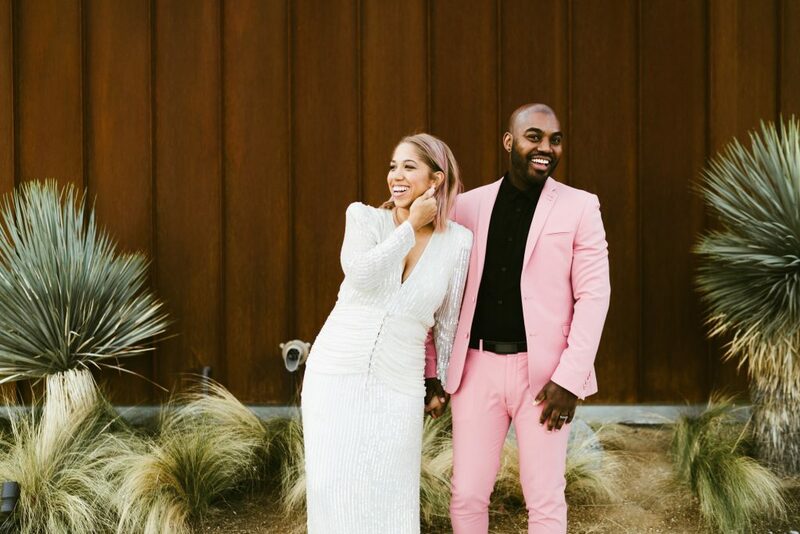 This is because Palm Springs anniversary sessions are a great reason to get dressed up and create a new style, vibe and chapter in a relationship. 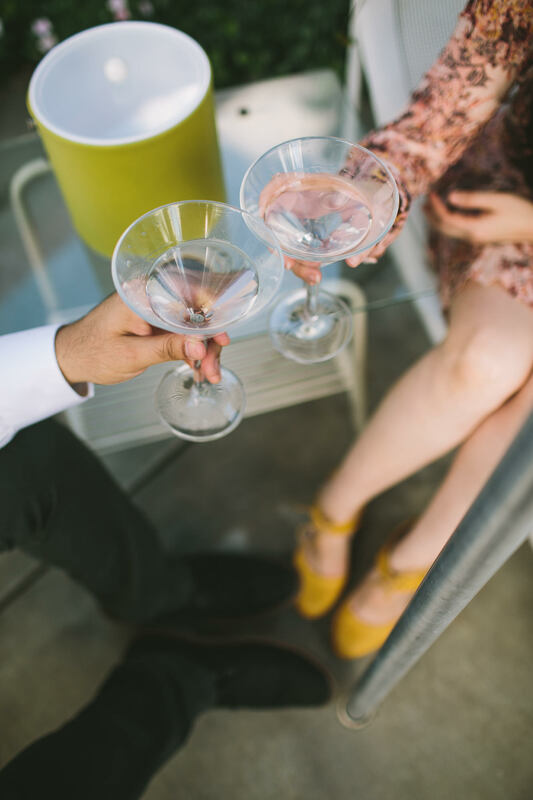 The best part is anniversary sessions do not have to follow a strict timeline like a wedding so a couple has the time to explore and connect. Even be a little adventurous with hair, makeup and wardrobe. 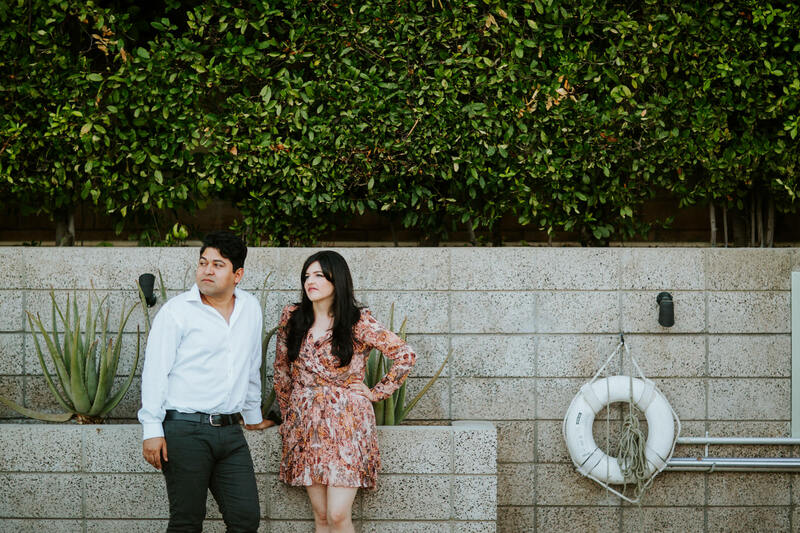 That is exactly what Heather and Ali did when they drew inspiration from the iconic Elvis and Priscilla Presley during a anniversary photo session they rocked in Palm Springs that was all captured by the ultra-talented Let’s Frolic Together Photography. 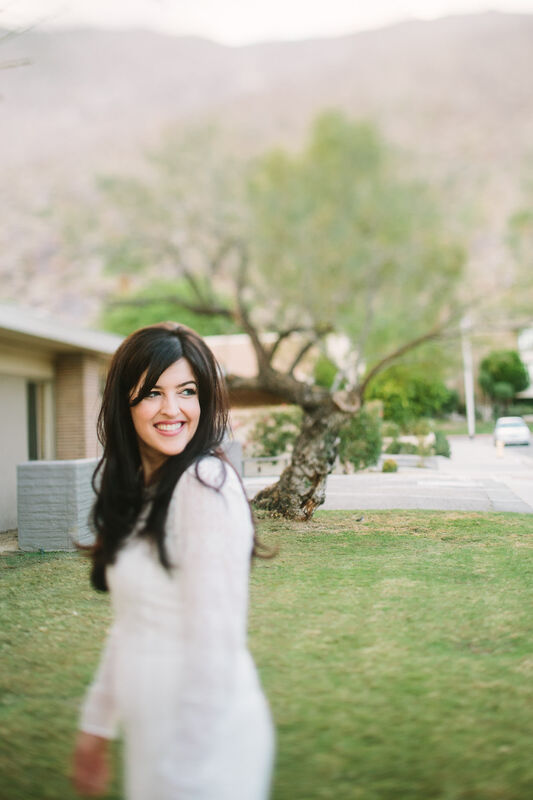 But we will let Jasmine from Let’s Frolic Together Photography tell you more about anniversary shoot with Ali and Heather! 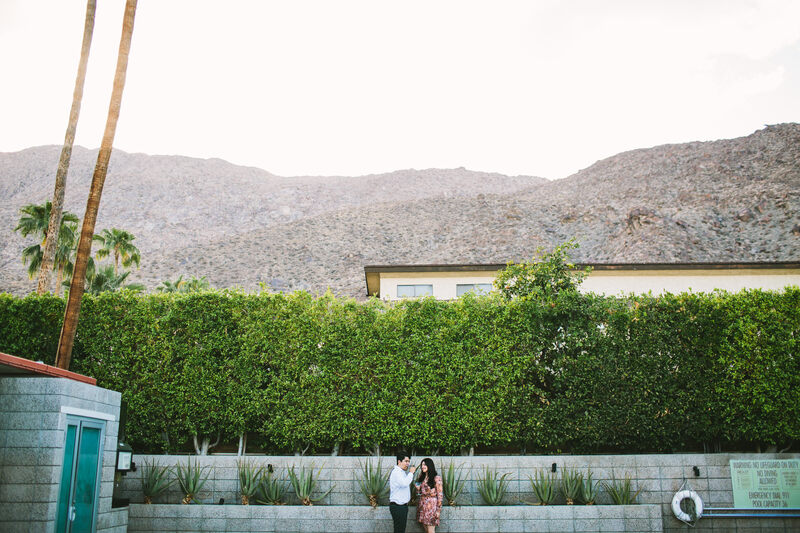 Exchanging sweet secrets in the Palm Springs desert. When you’re poolside in Palm Springs you have to have a cocktail hand. Cocktails also make for a more relaxed photo-shoot. So we totally recommend booze! Poolside snuggles when nestled in the hills. 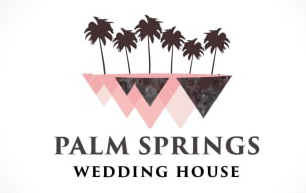 When you have the cool classic Palm Springs vibe within you. Always in love with Palm Springs’ beautiful desert hills. The layers in this image are incredible! Loving the vintage vibe of this mid-century tenderness. This classic black and white vibe is also to die for! Classic California throwback style and then some. 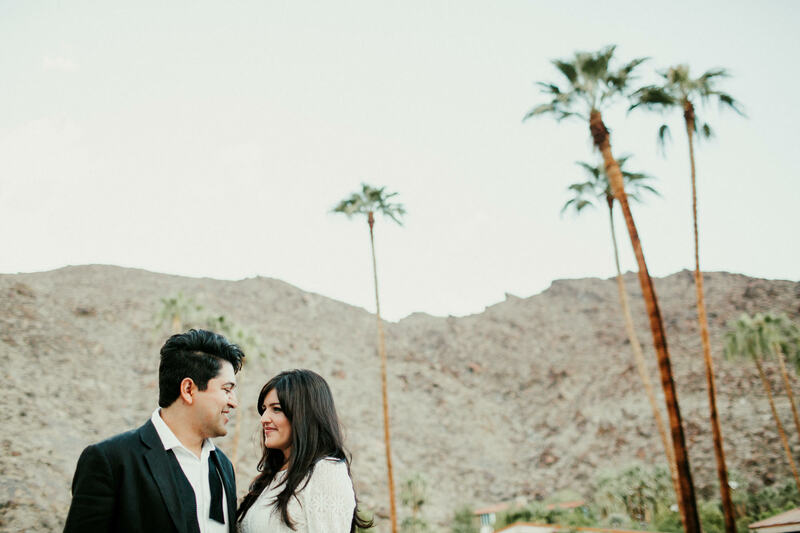 Those retro sunglasses and San Jacinto mountains in the backdrop are all the heart eyes! We’re crazy about Ali’s awesome laugh. And that hair is to die for! Isn’t she channeling Priscilla Presley in this picture? She is the cutest. And that loose bow-tie look gives off the best relaxed vibe! 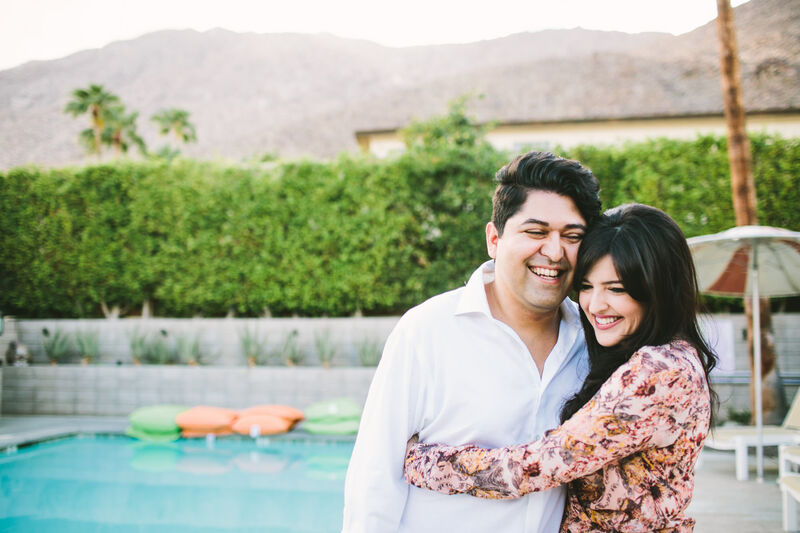 A huge thank you to Jasmine and the talented team over at Let’s Frolic Together Photography for sharing this lovely Palm Springs anniversary session with us! 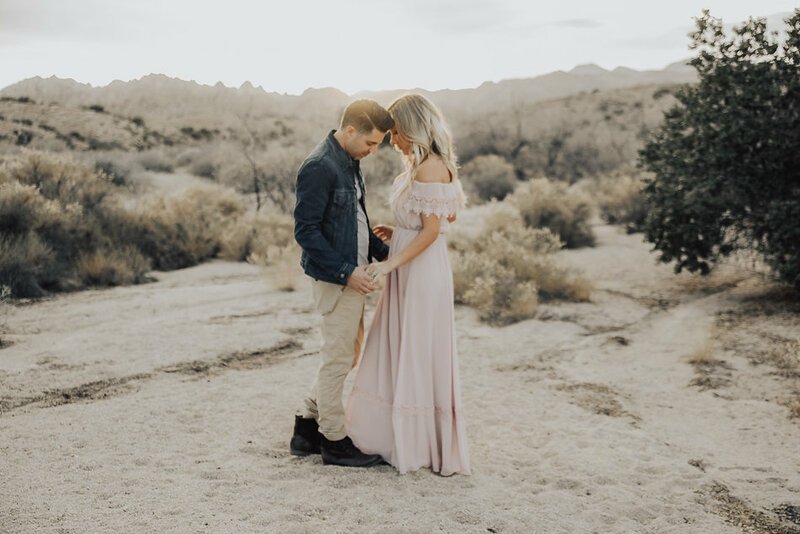 If you would like to check out more photography from these wedding artists please check out this recent romantic boho engagement session we featured on Palm Springs Wedding House earlier this year, or follow them on their adventures via Instagram! And remember to continue documenting your journey and love for one another, and never be afraid to get a little weird or creative!